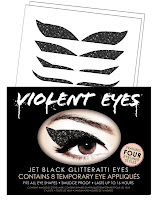 The makers of Violent Lips Tattoo's have introduced Violent Eyes , the debut collection of glittery temporary eye appliques that simplify the glittery lid. I've been curious about these eyeliner tattoo's ever since Dior put out their eyeliner stickers, but at $60 a pop I call that getting tricked by bizzzzness and never tried them. With such a reasonable price and already being fond of the Lip Tattoo's (review here) why not? 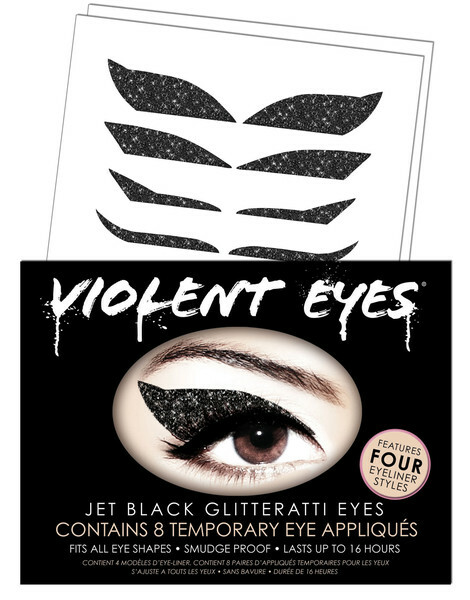 The Violent Eyes Appliques come in 7 different Glitterati colors, each pack containing 4 different eyeliner shapes for $9.99. Glitter makeup is gorgeous but it has a tendency to get sparkle everywhere except where you want it. 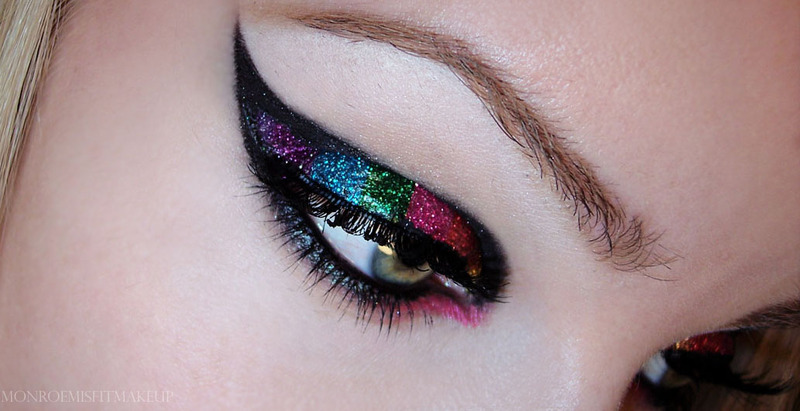 These take out the fall out and give you 16 hours of smudgeproof dazzling eyes. 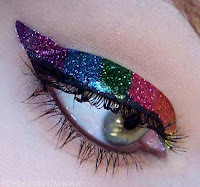 I only wore mine for a few hours, but in that time they stayed completely in place and it didn't feel like I was wearing anything unnatural on my eyes. Designate the first pair as the "test pair" and choose a style you probably won't wear. I wasted my first set by accidently getting them stuck on my fingers before I could get them on to my eyes. After that initial try you'll have the hang of it and they're very easy to do. 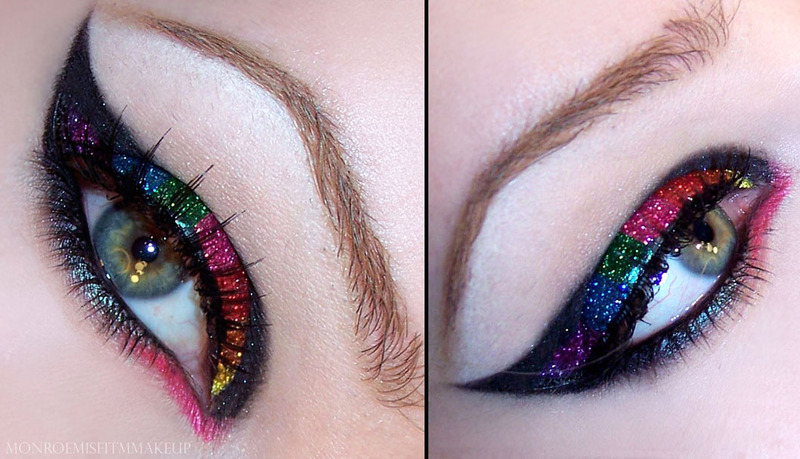 The edges are the most difficult part about these. I had trouble getting them to stick properly every time. 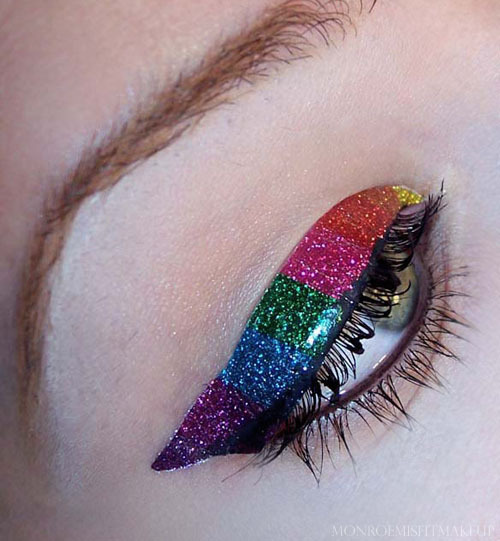 These aren't any faster or easier than applying glitter eyeliner manually, I'd rather just swipe on some liquid glitter liner, but they're a fun novelty to have in your makeup kit. Some of the shapes are a little odd so I hope they release some different styles. Also, skip the glitterati in Black it was VERY underwhelming. I prefer the Lip Tattoo's over these, but if you find glitter messy and irritating to the eyes or when you just want to do something cool for a Club night or the Holiday's these are a fun little addition to add to your look!